Great App, Great trainers. Horrible customer service. The trainers in this App are great! Great variety of trainers to choose from for your goals. However, the customer service is not good. They don’t respond, they typically have a message they will respond in 30 min....sure. They don’t. I’ve had some issues with the app not working properly, opening the app I cannot access my workout, workouts have been deleted and magically day later it’s fixed. I recently had another issue where I can’t access my Workouts and I’m waiting for customer service to help......but I’m still waiting very very disappointing as the App is amazing. As, long as you don’t have questions!!! I really do like this fitness routine , its convenient and easy. 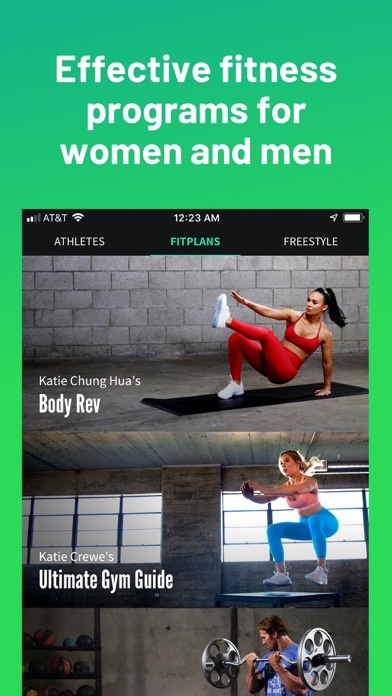 My personal favorite is it offers workouts for home or gym, giving people the option to choose which one suits best for them. I have used Fitplan for almost 2 years now and loved it. Lately though it has been taking forever to load and if I exit out of the app to go to my music I have to wait at least a minute for it to load back up so I can put my set into it. It has also been erasing my workouts and I have had to start all over and it won’t count it, so aggravating. It’s a great app and I love all the plans, but please update it so it stops twitching! I pay monthly for it. When my quarterly payment process, they don’t recognize it has went through. If you’re a person who works out everyday. Once a month or quarter, however you set up you subscription duration, you will be sitting in the gym writing reviews like this. This can be resolved if they give one day advances after payment due dates. I love this app compared to most other fitness apps that have clunky UIs and confusing user experience. However, I am noticing that the calories burned seem to be wayyy lower than what the apple fitness app calories burned shows. In my past experience with other apps this app seems way off. Any reason why that might be?? App logged me out, deleted my plans and all the data I’d logged since September. Now have to restart the plan I was more than halfway through. Disappointed.